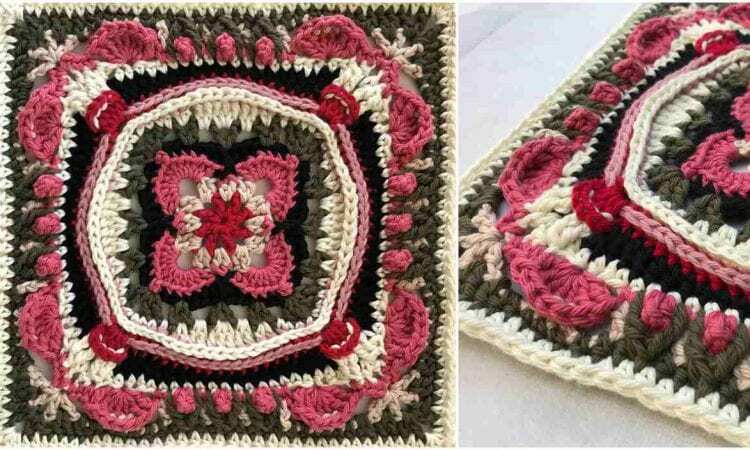 This stunning flower-in-a-square pattern is a definite must-have in your blanket, afghan and throw making toolbox. The richly patterned surface and subtle interplay between the textures and color make this a very decorative and showy piece. It may even do well as a doily or coaster. At the same time, it’s easy enough, that working it up will not be a problem for all but the greenest of crocheters.